Abuse in a nursing home often results in bedsores. In fact, the residents of nursing homes tend to acquire bedsores at a rate nearly twice as often as patients in hospitals. This higher rate is often the result of less stringent guidelines followed by nursing homes compared to the strict regulations followed by hospitals for preventing and treating patients. The lack of tough rules often allows nursing home administrators to focus on increasing profits at the cost of providing optimal resident care. Bedsores are often referred to as pressure sores, decubitus ulcers and pressure ulcers. Damage to the skin and underlying tissue is caused by sustained pressure when the resident in the nursing home lies in the same position for hours in bed, when sitting in a chair or wheelchair. The sustained pressure restricts the necessary flow of blood to the skin tissue, which can cause permanent or temporary damage. Nearly every type of bedsore in a nursing home is preventable. However, prevention of the decubitus ulcer requires routine monitoring and active response including repositioning the resident and treating existing wounds. With routine turning and moving, adequate blood flow can provide oxygen and nutrients to the area and minimize the potential of bedsore development. There is an increasing demand for more beds in nursing facilities as more individuals live longer into their retirement years. However, competition between nursing facilities to stay full often leads to minimal staffing, forcing patients to wait longer to receive necessary care, including changing soiled clothing and linens. As a result, older residents who do not have the ability to change themselves are forced to lie or sit in the soiling until receiving assistance from a caregiver. Anytime an elderly resident must sit in their feces and urine, the skin becomes weakened, losing its durability by the excessive moisture. Over time, the skin can become highly susceptible to developing a pressure sore. At first glance, a pressure sore may not appear to be a serious condition. However, through neglect or lack of training of the medical staff, a severe bedsore can become the underlying cause of the resident’s death while staying in the nursing home. Federal and Illinois state laws require nursing facilities to ensure that no patient develops a pressure sore, unless specific medical conditions indicate it is unavoidable. Additionally, the laws also require that any nursing home patient with bedsores be treated properly to ensure the condition does not progress. Because in nearly every incident, acquiring bedsores in nursing homes is preventable, negligence is usually involved when a patient develops them after admittance to the facility. 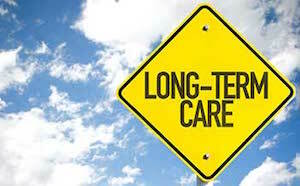 Most bedsores can significantly reduce the quality of life of the resident in the nursing home. As a result, many family members with a loved one suffering bedsores will take legal action to hold the responsible parties accountable for their negligence or malpractice. Financial settlements are often awarded to victims acquiring a bedsore in a nursing home as a way to compensate for the mental and physical hardship they sustained. If you suspect neglect caused developing bedsores of your loved one residing in a nursing home, contact Nursing Home Law Center LLC at (800) 926-7565 to speak with an experienced attorney. The law firm offers a free initial consultation to discuss the merits of the claim. Through legal representation, you can stop the negligent actions of nursing care staff of your loved one and others in the facility.